Long time floating homes resident Tom Dugan passed away March 15—two days before St. Patrick’s Day. Tom and his wife Blaise moved to Gate 6 ½ from A Dock in 1997. He loved the view from their south-facing deck, except for a line of unsightly debris along the shore which showed up at low tide. In addition to being an eyesore, the rag-tag collection of old car parts, a landing craft frame, washing machines and other detritus was a hazard to kayaks and inflatables, as well as an ecological disaster. In 2006, Tom decided to have the debris removed. He was able to secure some financial support from the Richardson’s Bay Regional Agency but paid the rest of the expenses himself. Almost immediately afterward, the marsh grass in that area began to grow back, increasing the natural filtration of the bay. He was lauded in the Floating Times as a One-Man Cleanup Committee. 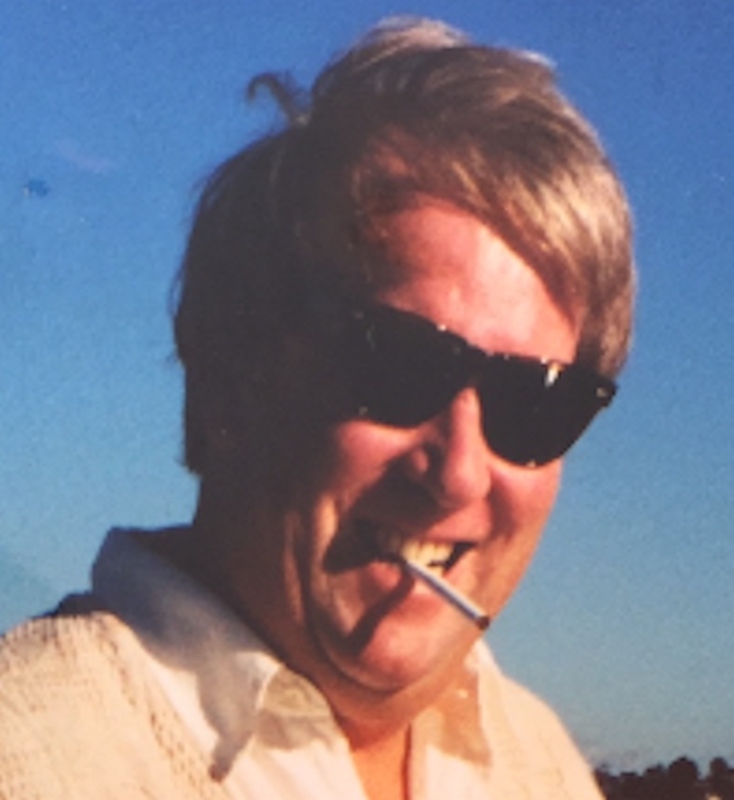 Tom (Thomas H.) Dugan, a long-time resident of San Francisco and Sausalito, CA, passed away peacefully in the early morning of March 15, 2019 at his summer home in Mattapoisett, MA. Tom had suffered a recent stroke after fighting a long battle with Lewy Body Dementia. An avid sailor, Tom can only be described as a one off, a nautical term that defines a completely unique design that stands out in a crowd like no other. He was a fearless adventurer who made his first trip around the world while still in his teens and a hilarious storyteller and raconteur who held friends, family and even complete strangers spellbound with his tall tales. He could strike up a conversation with anyone, be it a cab driver, a mahout or an ambassador. A big man, known by friends as “Bigga” or “The Governor,” Tom had a magnetic personality and a willingness to try any and every experience. He was a voracious reader of history, fiction, non-fiction and everything else. With endless curiosity and imagination, he wanted to experience everything in the world. He’d eat, say and try anything with a joie de vivre that inspired everyone around him. “He was somebody with whom I would go anywhere, without trepidation─both in the world and in life with its myriad facets, nooks and crannies. He brought out the best and often the funniest aspects of it and each of us,” said his close friend, musician Boz Scaggs. Born into a large Irish Catholic family in Boston, Tom became a serial entrepreneur who started many companies, including a gem-importing business where he visited sapphire mines in Sri Lanka, fought criminal syndicates to bring emeralds from Brazil, and smuggled rubies through the mountains of then-communist Burma for clients like Tiffany’s and Harry Winston. He was one of the first San Franciscans to set up a retail outlet and restaurant selling East Coast seafood, Dugan’s Lobster Trap. During the 1970s gas crisis, with typical foresight, he sought funding for a co-generation plant to make energy by burning walnut shells and rice hulls from the San Joaquin Valley. He also built a successful scaffolding and painting company in San Francisco that originated the trend of painting Victorian houses in beautiful contrasting colors. This and other enterprises gave three of his brothers their starts in business. In the nineties, Tom founded one of the first internet search marketing companies. It helped large retailers and other businesses get their products seen on search engines like MSN, Yahoo and Google and was sold to a larger entity in the mid-2000s. He loved a good party and a good stiff drink; traveling, reading and history; sailing, skiing and golfing; and his big family and even larger group of friends all over the world. Tom is survived by his wife and partner of 43 years, Blaise Simpson; his 9 siblings, as well as numerous nieces, nephews and grand-nieces and nephews. A Memorial Mass will be held at St. Anthony’s Church in Mattapoisett at a date and time TBD. In lieu of flowers, donations may be made to “The MGH Parkinson’s Lewy Body Fund” in honor of Tom Dugan and mailed to the Massachusetts General Hospital Development Office, 125 Nashua Street, Suite 540, Boston, MA 02114, attention: Kylie Wojcicki. Donations can also be made online. Please click on Donate Now, then check the box under Additional Details: I’d like to designate this gift to specific program or area and specify: Designation: The MGH Parkinson’s Lewy Body Fund in honor of Tom Dugan.